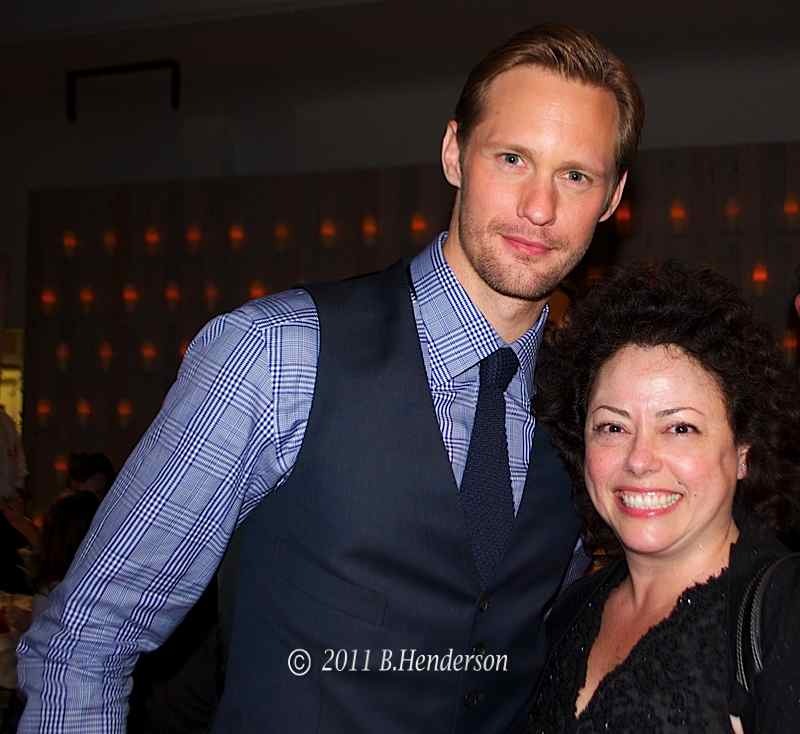 via Our Site interview with Alexander Skarsgard Talking True Blood, Maisie and More. Huge thanks to the Facebook fans who helped out with questions! The Bookies Heart True Blood group and theWhat I learned from Watching True Blood fans came up with a great list to work with. I tried not to talk too much (ok if anyone who knows me , they know how impossible this is). We chatted about what a typical day is like for filming, table reads, ad libbing on set. Guardian UK Interview of Alexander Skarsgard. What is the sound of Bon Temps? It’s got a few different sounds. I mean, it’s got the sound of Merlotte’s, which is a little bit more, upbeat bar music, rockabilly, southern Rock. And then in the first season we had some music for Sookie playing at her house, which was like the Watson Twins covering The Cure and stuff like that. But, yeah, all of it has sort of a dark undercurrent to it like a lot of New Orleans blues seems to have. Those classics Slim Harpo, Willie Dixon, and Howlin’ Wolf. Those are what really kind of speak to me as the sound of Bon Temps. I don’t remember Alan actually saying that to me. But I think his goal was to have a non-traditional kind of sound to the show. And not use, you know, sort of overly dramatic types of music that have been used in vampire series in the past, or movies in the past. Which is made clear right away with the theme, Jace Everett’s “Bad Things.” It sets the tone brilliantly for the show. Yeah, we got lucky with that. Alan actually found that. I heard it was first just a placeholder – how did you decide on keeping it? It was just a placeholder. Yeah, you know, Alan’s method of writing is when he’s on his computer he’ll write for a while and then he’ll take an iTunes break. 100 dollars later he’ll come back and finish up the script [laughter]. But apparently that song, “Bad Things” by Jace Everett, was like the single of the week on iTunes. We all liked it but we all kind of thought that we would eventually find the one. But the more we placed other songs against it we realized that it actually was the one. It was perfect and it had just that right combination of menace, romance, sexiness, and humor to it. Creatively speaking, where do you draw from other than the script itself, do you have a wall of records you talk to or how do you generate your ideas? Yes. Sometimes I actually do that. My last resort, I just stand next to the wall of music and just sort of close my eyes and hope for a miracle. But, yeah after I read the script and we see a rough cut, different scenes just kind of reach out and kind of call out for different types of music. You know, a fight going on at Merlotte’s or if there’s some sort of party at Lafayette’s or whatever it happens to be. I have that idea of what the overall sound of “True Blood” is so I… find the right songs. Then I’ll play them for Alan Ball and he’ll kind of make the final decision of what he thinks works. And then the next step for me is actually clearing them, and getting the license and negotiating the deal and all that. Yeah, it’s not that bad but I guess you could say it’s less glamorous, but definitely a huge part of the job. I suppose your other job, DJ’ing at KCRW must help with your approach to finding the right songs.